Category: Books, Conspiracy Theories & Alternative History Tags: American History, literature, Nicholas Hagger, philosophy, religion. The Hidden Order of The Universe and The Seven Disciplines of World Culture. In this final work of his American trilogy, Nicholas Hagger focuses on the unified World State it is America’s secret destiny to create, and on the world’s divided culture that impedes its creation. Throughout world culture there are conflicting and entrenched metaphysical and secular approaches that permeate all its main disciplines, including history, philosophy and science, literature and comparative religion. In each discipline there is a tussle between the traditional religious view, which is supported by the 4.6 billion of the world’s 7.3 billion population that follow a religion, and the secular and social approach associated with humanism and the scientific reductionism of Hawking and Dawkins, which sees the universe as a random accident. 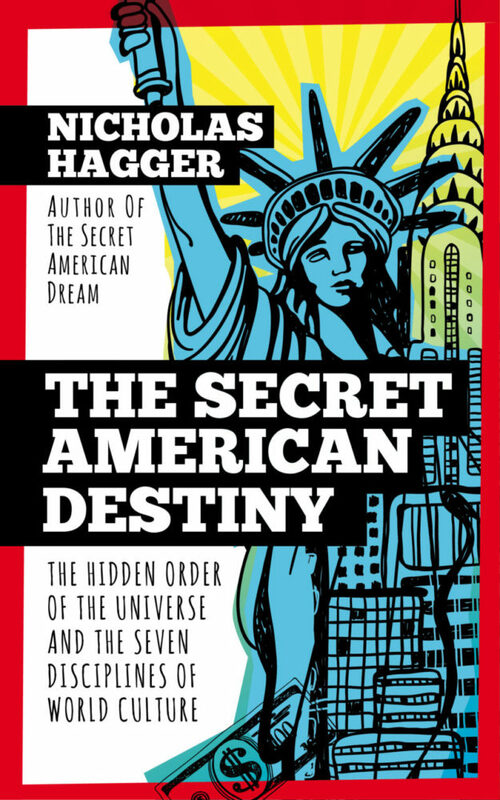 Hagger argues that it is America’s secret destiny to bring in a democratic, UN-based, partly federal World State that can unify humankind. The conflict between metaphysical and secular approaches can be healed within a new reconciling philosophy that unites both outlooks, Universalism, which is already making an impact in the US. The key to this reconciliation is focusing on the scientific view of the order in the universe, and on the experience of the common essence which resides in all religions (the belief in the ordering Light), and on the traditional view of order in the seven disciplines of world culture. This reconciliation can reunify each discipline and therefore world culture, and create world unity. Restoring the metaphysical vision of order in world culture can strengthen America’s harmonizing of humankind within a World State based on political Universalism. Nicholas Hagger has written more than forty books. The two previous books in his American trilogy, The Secret Founding of America and The Secret American Dream, have been widely discussed and acclaimed. He is a Renaissance-style polymath able to draw on several disciplines: history, literature, philosophy and the sciences, mysticism, comparative religion, international politics and statecraft, and world culture, in setting out the establishment of a World State based on political Universalism that it is America’s destiny to bring in. He Lives in Essex.